The big news in the security segment this week is the newly-formed agreement that President Barack Obama has struck with Chinese President Xi Jinping. With a backdrop of U.S. threats to launch counter-attacks, the two leaders agreed to refrain from state-sponsored cyberattacks against each other that attempt to steal trade secrets or competitive business information. Sounds pretty good on the surface, but as it is with any complex agreement, you have to evaluate the implications of the deal before rendering judgement. In the following I’ll share my thoughts. In the U.S., we have a popular idiom that goes something like this, why close the barn door after the horse has bolted. I’m not sure how that would translate into Chinese, but here’s how it translates into lost dollars. A 2013 report published by The Commission for the Theft of American Intellectual Property estimated that annual losses from IP theft over the internet totaled in excess of $300 Billion annually, which is roughly the total amount we exported to Asia in 2012. The report also estimates that China is responsible for roughly 70% of these losses. We are talking about trillions of dollars already lost. It makes one wonder how much is left to steal and, more importantly, where is the discussion about making us whole for these losses? James Clapper, Director of National Intelligence, stated that he is not optimistic that the agreement with China will effectively deter state-sponsored cyberattacks on businesses. One can envision where it will be quite easy for China to continue to target U.S. businesses at arm’s length by having future attacks appear not to be state-sponsored. On top of this, you have the grim reality that for most cyberattacks, we simply do not know where they originated or who is responsible. The stated deterrent is economic sanctions, which the U.S. has used effectively in the past, but success with this approach has relied on forming a coalition among a larger group of countries. When a single country imposes economic sanctions unilaterally, it becomes a more difficult task as the trading partner intended for punishment can many times find alternative outlets and sources for the impacted goods. Current weaknesses in the Chinese economy will also contribute to significant reluctance for the U.S. to impose damaging sanctions that could trigger a broader global economic decline. U.S. businesses may understandably not feel any safer after the agreement than they did before. The basic tenet in the field of security is to invest in protection in relation to the value of the assets being protected. The U.S. is under-investing in security as evidenced by the continuing breaches and losses suffered. Stopping foreign hackers starts with basic security measures such as two-factor authentication and data encryption. At the same time, U.S.-based enterprises should expect more protection from their government, but it will need to be a partnership where businesses increase their investment in security and the government initiates more effective means of deterring attacks on American targets such as implementing more menacing counter-attacks and preemptive strikes on would-be foreign hackers. “Shadow IT,” or solutions not specified or deployed by the IT department, now account for 35 percent of enterprise applications. Research shows an increase in IT shadow spend with numbers projected to grow another 20 percent by the end of 2015. Experts agree that shadow IT is here to stay, particularly the growing tendency to use cloud services for collaboration, storage and customer relationship management. Enterprise organizations can’t afford to bypass the productivity and profitability that comes with a happy and enabled mobile workforce. However, the utilization of SaaS that IT has not vetted and approved may expose regulated or protected personal data, which a business is responsible for remediating. 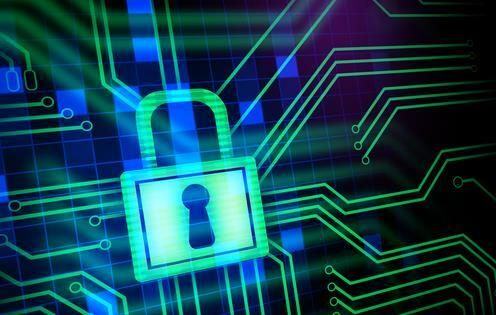 California leads the way in the privacy arena with the Security Breach Notification Law and Online Privacy Protection Act. The Federal Trade Commission is the primary U.S. enforcer of national privacy laws, with other national and state agencies authorized to enforce additional privacy laws in vertical industries such as banking and health care. Sanctions and remedies for non-compliance with FTC data protection laws include penalties of up to US $16,000 for each offense. The FTC can also obtain an injunction, restitution to consumers, and repayment of investigation and prosecution costs. Criminal penalties include imprisonment for up to ten years. In 2006, a data broker agreed to pay US $15 million to settle charges filed by the FTC for failing to adequately protect the data of millions of consumers. Settlements with government agencies can also include onerous reporting requirements, audits and monitoring by third-parties. A major retailer that settled charges of failing to adequately protect customer’s credit card numbers agreed to allow comprehensive audits of its data security system for 20 years. So, what is the answer? How do you start to get a handle on shadow IT? Ask employees which cloud services they are using. You might also need to utilize a combination of automated and manual discovery tools to get a complete picture of what programs employees are using and what data is hosted and shared in provider clouds. These “cloud consumption” dashboards can monitor and assess cloud usage and detect encryption tools at each host. Implement automatic backup of all endpoint data in the enterprise to capture a real-time view of where employee data lives, when and where it moves and who has touched it—even as it moves to and from non-approved clouds. Act fast when the inevitable happens. The reality is a breach may be inevitable, but you can recover. With continuous and automatic endpoint backup, IT can quickly evaluate the content of files believed to have been breached and act in good faith to lessen the impact. Additionally, understanding what was stolen allows a company to make an accurate disclosure and manage consumer confidence issues. For CIOs and IT staff accustomed to maintaining complete control over their digital ecosystems, relinquishing even a bit of this control can be terrifying—even in the name of productivity. And yet, with a security strategy that focuses on complete data visibility, they can empower mobile workers while minimizing the risks associated with the dark side of shadow IT. Countless studies have shown that cloud security is the major factor standing in the way of cloud adoption. While in some cases companies are right to be wary, like most things, not all cloud providers are created equal. In fact, the security a company experiences with the cloud solely depends on the provider chosen. It’s wrong to lump all cloud providers together and assume a general opinion on cloud security, whether that opinion is good or bad. Just as some companies currently have better in-house security than others, some cloud providers view security as a larger priority than others. And the word security is all-encompassing, referring to physical and network security, as well as compliance. A great cloud provider will have multiple physical security measures in place. Look for providers that can offer the following: full credential-limited access to data centers, key card protocols, biometric scanning systems, exterior security systems, on-premises security guards, digital surveillance and recording, secured cages, around-the-clock interior and exterior surveillance monitor access, and employees that have undergone multiple, thorough background security checks. This isn’t asking too much. These are the things that will protect your information. The best facilities will also include environmental controls such as redundant HVAC systems, circulated and filtered air, and fire suppression systems. A reliable cloud provider should be able to guarantee geographical diversity of data center locations as well as full redundancy. With these steps in place, companies can ensure that in the event of a disaster, their business-critical data and applications will be safe and accessible, even if one of the data centers is affected. Look for in-flight and at-rest encryption, strong firewalls, password protection and around-the-clock monitoring. Make your provider prove itself, and ensure that it can demonstrate strict and accurate Service Level Agreements. Today, more and more industries have regulations and standards to meet. “Compliance” is an extremely important word for businesses in all industries, as it refers to the laws that are in place for security and privacy purposes. Your cloud provider should meet, if not exceed, large compliance laws such as HIPAA, PCI DSS, and Sarbanes-Oxley. Whether or not your company needs to meet these regulations, you want a cloud provider that understands and follows the top compliance laws because this demonstrates that they are knowledgeable and trustworthy. The reality of today is this: cloud computing is a growing, important technology that is being adopted by the majority of businesses. 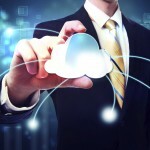 In order to remain relevant and modern, cloud is the way to go. By no means should you risk your company’s security to do so, but you should work to find a provider that is trustworthy and can offer excellent physical and network security for your data. You have to remember that cloud providers are businesses too – they put loads of money into ensuring that their customers information is secure. For the most part, they aren’t willing to risk their reputation and customers for lesser security. As long as you take the appropriate steps to ensure you’re working with a legitimate, secure provider, the cloud is ‘absolutely a viable and intelligent option for your organization. And when you make the move, you’ll experience better security than you ever had in-house. Block and Tackle- your safety depends on it. Have an Executable Plan and Stick to it. Like they say, “Everything else is commentary, go learn it!”. Blocking and tackling for security professionals means going back to basics and eliminating the “easy ins” preyed on by attackers, like open ports and unused services, the use of default or easily guessed administrator passwords, or improperly configured firewalls. Blocking and tackling for IT security teams also means keeping continuous watch on these systems, to detect the clues that indicate attacks in progress, like security controls disabled by anti-forensic activities, oddly elevated permissions or unexpected changes to critical files. Security configuration management solutions are built to make these issues visible to IT security professionals, and to give them the information and tools they need to manage them in the most automated way possible.